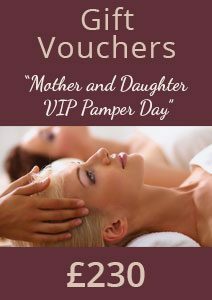 Utopia Gift Vouchers are a perfect solution for a special gift. 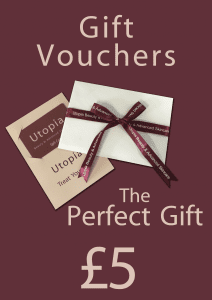 Our Gift Vouchers are presented in a specially designed folder, with space for your personalised message and then placed in to an envelope with our current brochure. All you have to do is decide upon the value by clicking on the gift card amounts, and enter a delivery address. 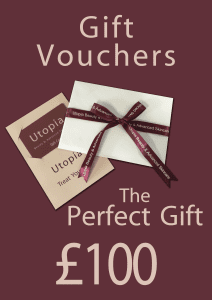 If you want us to send the card directly to the recipient just let us know a short message you would like on the card in the special instruction section. 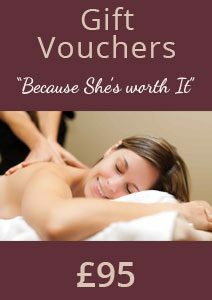 Our professional therapists will make sure that the recipient of your gift card will receive a wonderful experience. 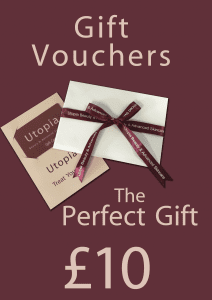 All Gift Vouchers are valid for 12 months and are exchangeable as full or part-payment for all services and/or products available at Utopia. 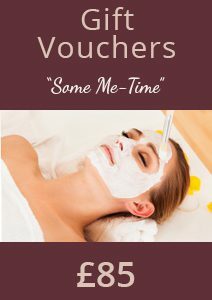 Vouchers cannot be redeemed for cash.